It’s summer! Oh hallelujah, it’s summer. Many thoughts come to mind with summer. The days when as a child, I could care less the weather; summer meant freedom. I loved the feeling like a rebel and staying up atrociously late and not paying the price the next morning. Summer was what felt like an endless supply of Saturdays. Now, as an adult holding down a job and preparing for college, summer goes too quickly. Whereas once, I didn’t care about summer as long as it meant the absence of school; I now cherish the two weeks of sunshine in Alaska. 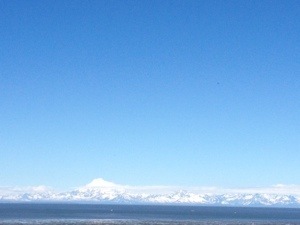 It may be summer for three months elsewhere, but in Alaska, the actual summer days are quite limited. One thing that doesn’t come in short supply are Mosquitoes. Every few years our endearing “state bird” seems to multiply over night. Instead of the typical infestation of the little vampires (who have no point other than be a pain to humans), there’s millions – per person. This is one of those years. This morning, as I sat drinking my coffee before the day began, one of those **blessed** insects bit me right on my incision for my brain surgeries. It’s been seven years since my incision has been anything more than a really cool story. It shouldn’t matter where the vampires bite. Brain surgery incisions are incredibly frustrating. The nerves around the incision have heightened sensitivities. When people lovingly tap me on the head, it feels like they’ve hit me with a hammer- sometimes. Other times it just feels odd. Either way, my head should be off limits to Mosquitoes. It’s not. As I contemplated complaining and whining about how it’s so unfair that a mosquito bite should hurt even more on a 7-year old incision than it does anywhere else on my body, I had to giggle. The doctors told my parents I may be unable to feel because of the Cerebral Palsy. Because of my epilepsy, I was “blessed” with a 12 inch scar that would be an ever present reminder that I can indeed, feel. The Mosquitoes seemed to be the messengers of this highly sweet fact. Either way, I suppose I should laugh anyway.